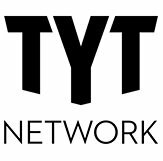 News TV Channel / The Young Turks (TYT) is an American liberal/progressive political and social commentary program hosted primarily by Cenk Uygur and distributed on a variety of Internet-based platforms. TYT was founded in 2002 by Uygur as a talkshow on Sirius Satellite Radio. The Young Turks claims to be "the world's largest online news show"; YouTube video views for the TYT Network stood at a total of 2 billion as of July 2014. From 2011 to 2013 a second show, called The Young Turks with Cenk Uygur aired on Current TV. After Current TV was acquired by Al Jazeera America, the TV show was cancelled.